How do I prepare the soil for an organic turf program? Selena's Landscape, Design & Tree Service is your organic lawn specialist! Our 100% Organic Lawn Treatment Program is absolutely chemical-free. Unlike other "organic based" programs that blend synthetic ingredients with organics, Selena's Landscape, Design & Tree Service program uses all natural lawn fertilizers to build healthy, natural soil, and lawns. Initial evaluation of your lawn and its needs by your Selena's Landscape, Design & Tree Service Representative. Regular visits by a PA Certified Applicator to regularly monitor lawn health; test pH levels; and, customize treatments and timing based on your lawn’s unique needs. Written report after each visit. Annual pH test to monitor your soil’s acidity and alkalinity balance. Comprehensive Soil Analysis (CSA): A biannual lab soil test to identify soil problems and actions required. Based on the lab results, we customize your treatments to address your lawn’s needs. 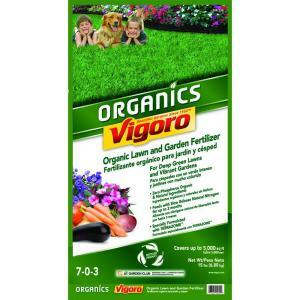 Organic Soil Conditioners: Materials such as compost, minerals and humates are added as needed to enhance the soil. Unlimited free service calls between scheduled visits to address any problems or concerns. Crabgrass Suppression: Treat crabgrass before it emerges with Selena's Landscape, Design & Tree Service corn gluten. Weed Control: Special application of organic weed and grass control in garden beds. Tick Control: Selena's Landscape, Design & Tree Service uses a combination of 100% organic insecticide plus perimeter clean up of overgrown areas and pruning to let in more sunlight on shady tick habitats. Please note: The effectiveness of the above organic controls is more limited than chemical-based treatments. Seeding: As part of organic lawn management, we can introduce new, more disease and insect resistant varieties of grass into your lawn. Lime: When lawn acidity is too high, lime may be recommended at rates specified in the CSA. Rototilling: Healthy plants start with healthy soil! Rototilling relieves compaction, improves moisture holding capacity, prepares gardens for planting and creates new seed beds for lawn renovations. Call us to day at 484-645-4707 or e-mail us.